Our Metodo Classico, because the search continues, because is a game. 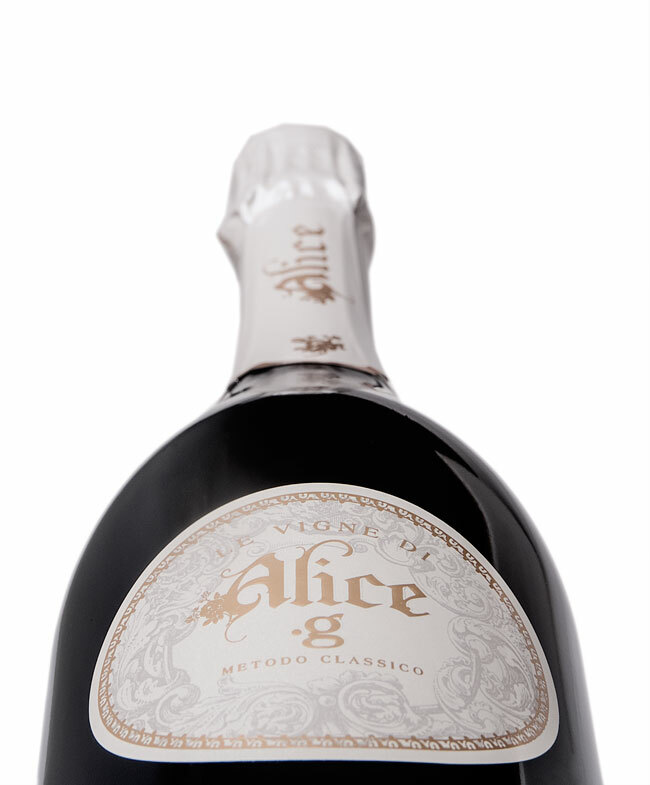 Our Metodo Classico Alice .g is made with Glera grapes. Pale yellow, with greenish reflects, bright and sparkling fine continuous bubbles. Peach skin, unripe green walnuts, almonds, and a peeled Rennet apple. Refreshing with almost crunchy mouthfeel, savory with minerals, creamy with umami. Vinification: Glera grapes 100%; during first fermentation we put 30% in big barrel and the rest in steel tank, tirage in february 2010. No dosage. Somebody who look for you and want you.